HissTank › G.I. Joe Conventions › Toy Fair › Toy Fair 2014 – The Loyal Subjects G.I.Joe Series Two Info! 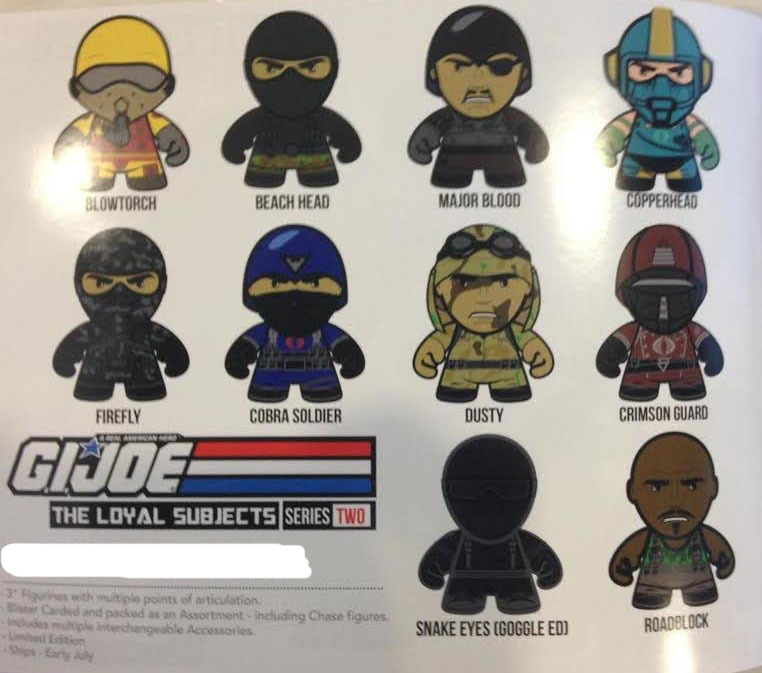 Toy Fair 2014 – The Loyal Subjects G.I.Joe Series Two Info! The wave includes Chase Figures! Each figure comes with accessories that are interchangeable with other figures. We’ll have an image of the assortment for you soon. 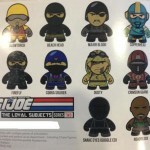 Are you excited for the latest wave of G.I.Joe Vinyl Awesomeness from The Loyal Subjects? Then join us after the jump to share your thoughts on these newest offerings! Why? That crap doesn't sell. Apparently it does if they're making a second series. They just needed to make the right characters. I might need to get a FF and a CG or two. Actually, these sell really really well. Ironically, the biggest buyers are not Joe fans though, but rather fans of vinyl figures in general. Still, I have a lot of Joe fans buying up their favorite characters. I have trouble keeping Zartan, SE, and SS in stock. I didn't buy any of the first set, but I'll pick up my favorite characters from this sets --- firefly, beachhead, roadblock and commando SE. Yeah, that Firefly looks sick! Now you understand why we never see the 2nd wave.